My First Bernina is still my Sewing machine today! I was walking in a mall in central New York on my lunch hour from work on July 19, 1986. I passed by the sewing store and they had a Bernina Sewing Machine a floor model on sale for $299.00 regularly $849.99. I walked in and sat down at the machine. It looked nice and it was the only machine on sale. I was so tired of my old singer machine constantly needing adjustments and repair, I was ready for a new machine. The sales person was not happy that I was buying the machine though. She said she wanted to have one of her relatives buy the machine. Well she had no choice but to sell me the machine. I walked out the door without my new Bernina in its’ plastic carrying case because they had to do a once over on it to make sure it was working properly. 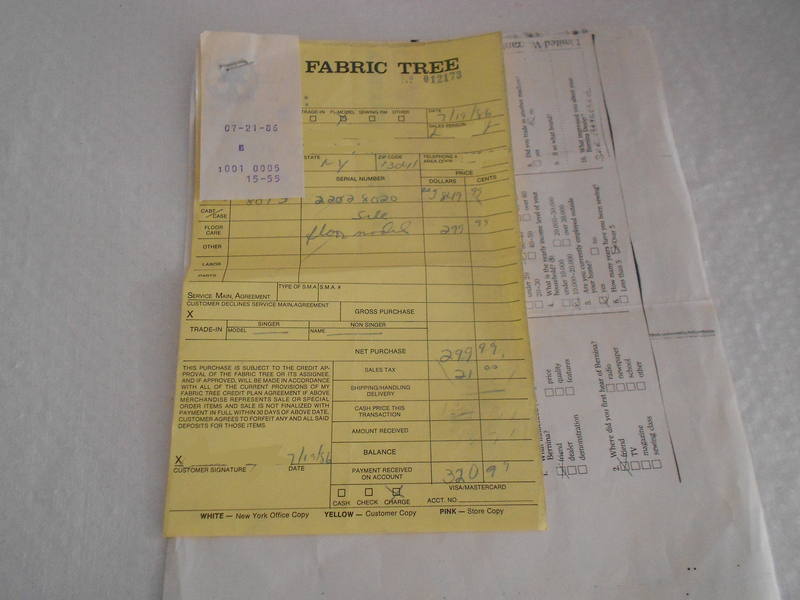 I picked up my Bernina Jubilae 1932-1982 two days later on the 21st. The store wouldn’t give me my free sewing and operating lessons. (I think the women was still angry that I purchased the machine) She said it was because I got the machine on sale! 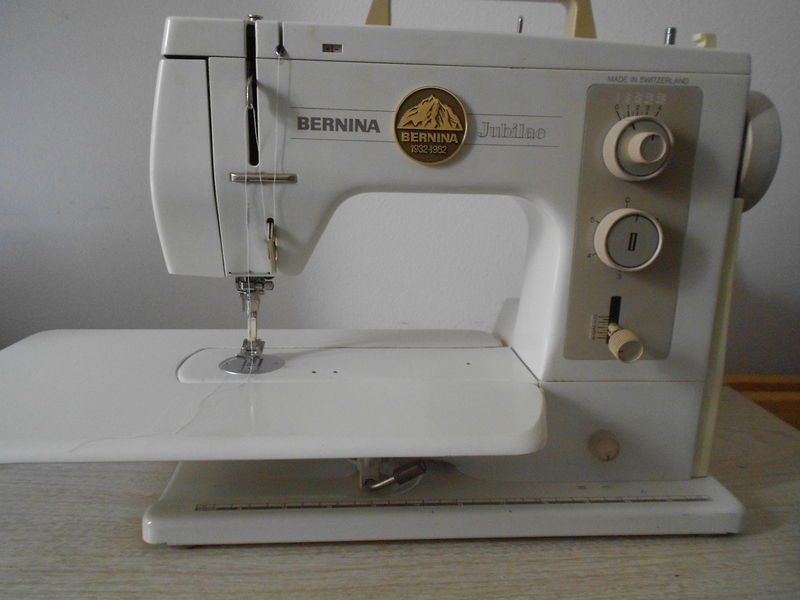 So anyway I was now the proud owner of my first Bernina. I am still using this machine today. I have had it adjusted a couple times, and had to buy a new foot petal. But this machine is a Rock! 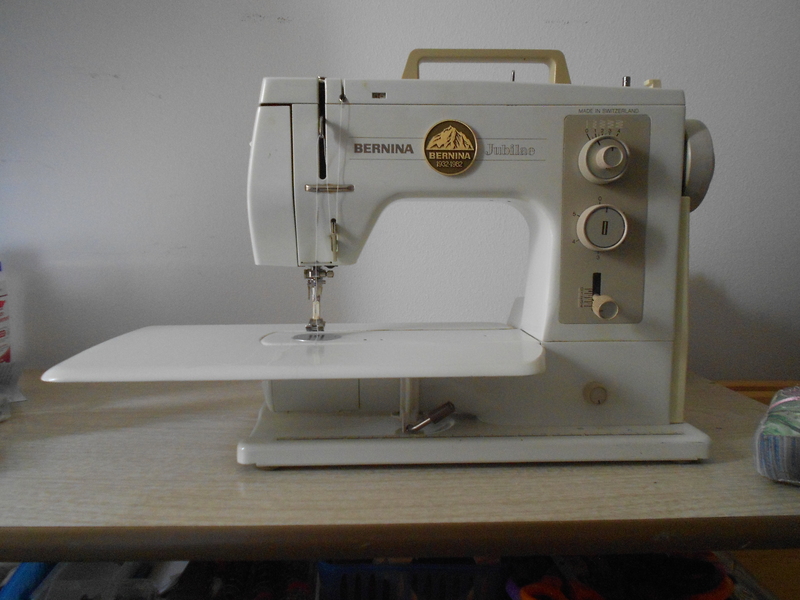 I have sewed so many clothes, purses, home decor, quilts and so much more with this wonderful machine. I would be lost without it. BTW. I still have my singer machine. I could never part with it. My father bought if for me on the condition I would learn how to sew. My wonderful Aunt Mary taught me how to sew at age 8. I am forever grateful to them both. I love to sew! 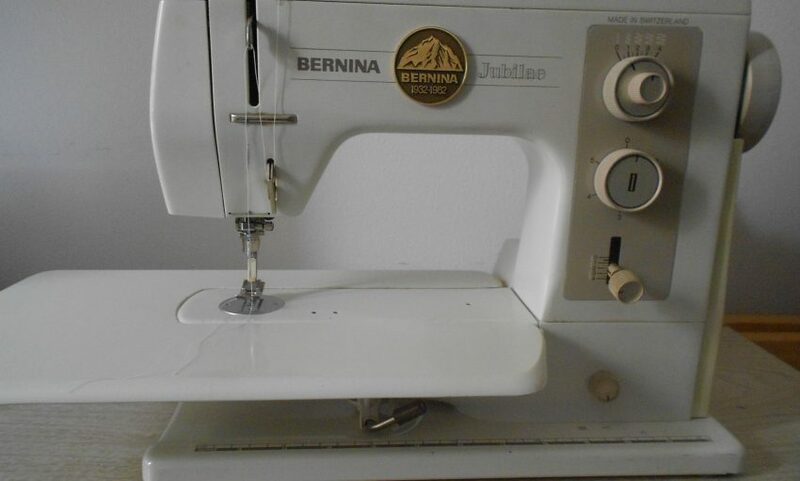 My first Bernina I still use today. 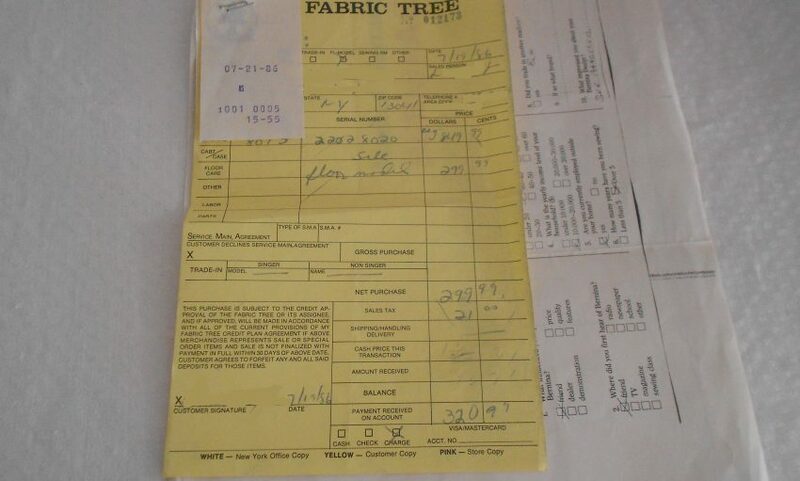 I had a Montgomery Wards machine that was my first adult purchase. Fifteen years later it wouldn’t sew with consistency, so it was time to purchase a new machine. I went to the Redlands Sewing Center (Redlands, CA) and test drove several machines. 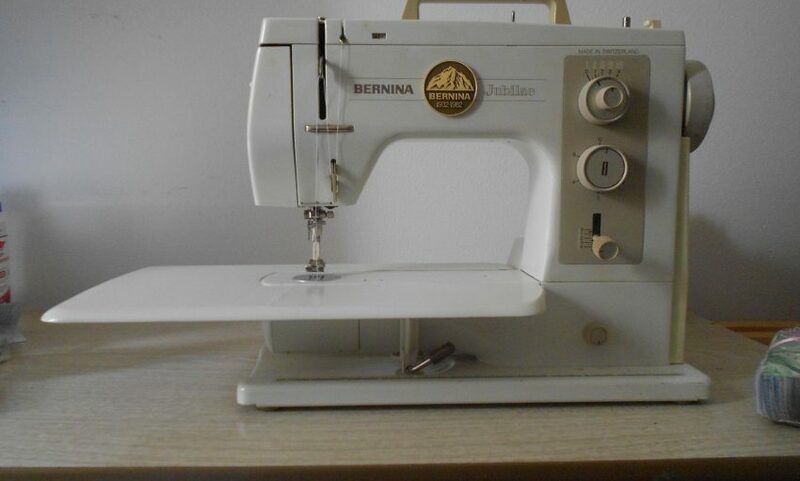 I purchased a floor model, the Bernina 1120, in 1990. 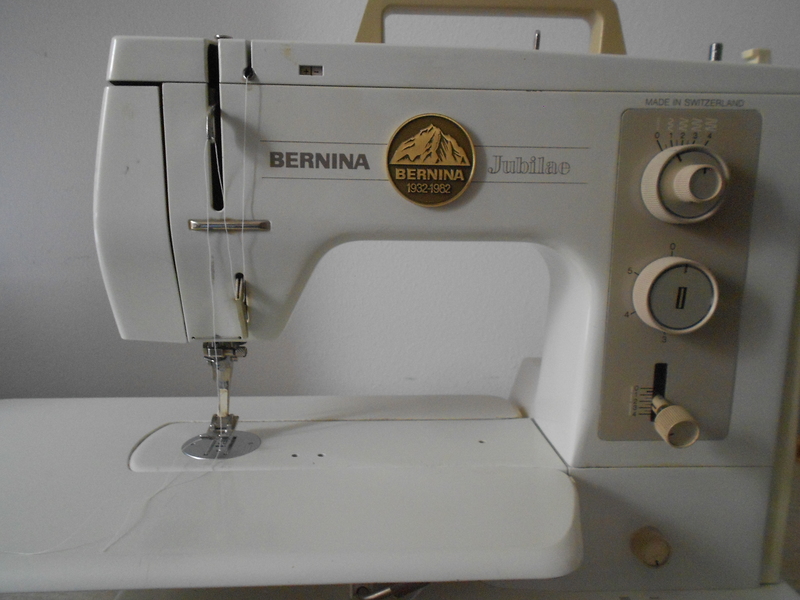 My Bernina Betsy is my faithful workhorse which has helped me create home decor, 35 years of theatre costumes, and tons of quilt projects. I am faithful to keep it regularly serviced. 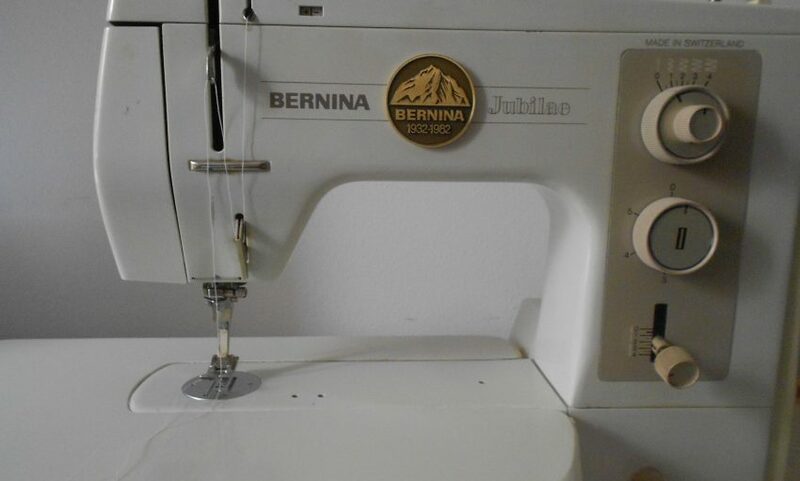 I purchased a second Bernina 1120 on eBay to use as a backup when my machine is serviced. I purchased an embroidery machine, but gravitate to using faithful Bernina Betsy as my first choice for everyday sewing.